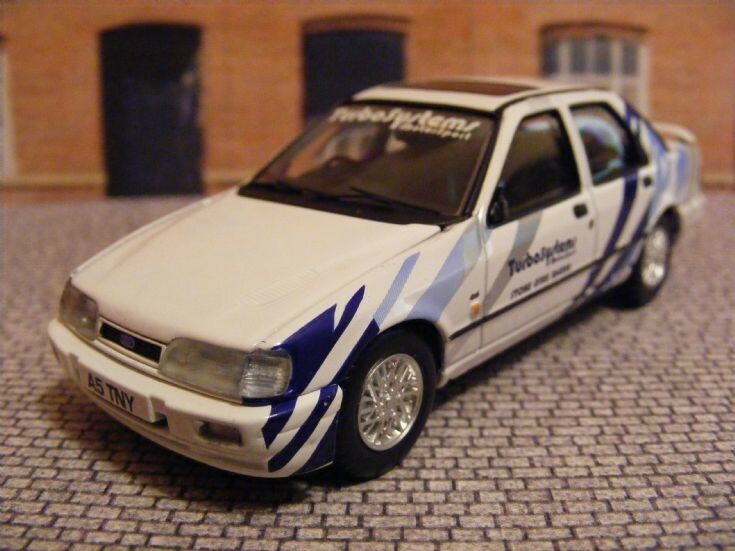 This is a model by Vanguards (VA10005) of the Ford Sierra Sapphire (or Notch-Back) RS Cosworth Saloon here in 2 Wheel Drive form from 1988-1990. The 4X4 or 4 Wheel Drive came along in 1990-92. Beautiful car I've had one in The past She was a 1.8LX a north of Ireland import and not for Sale in The Republic even though they were assembled in Cork Ireland. Added by Phil on 21 May 2016.